Travis & Charlotte (ID#354977) - MATCHED!! We are so very grateful that you would take the time to learn about us and consider us as you face an incredibly difficult decision. We admire your decision to choose life and pray that you are filled with a sense of peace with the decision you come to regarding making an adoption plan. We hope that our love for each other, our families, and our future child is evident. We met when a mutual friend played matchmaker over 7 years ago. We were both extremely skeptical about things, expecting to walk away with nothing more than a funny story to tell friends. Instead we met and quickly realized that we would end up together. We were married in 2011 and are blessed to be together through the joys and trials of life. We both come from small, tight knit families and have always known we have wanted kids. While we were dating, Travis asked Charlotte's thoughts about having kids. For Charlotte, it was a nerve-racking moment because she knew that she wanted to adopt. Fortunately Charlotte didn't have anything to worry about, because Travis was extremely open to the idea of pursuing adoption. 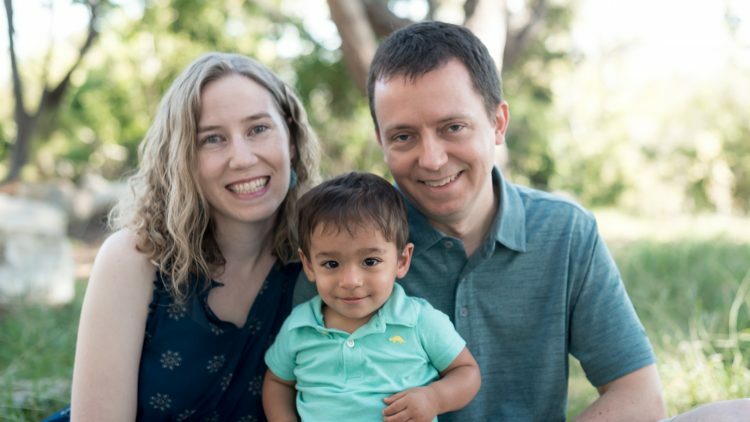 Our son Wesley (Wes) joined our family through adoption. Wes was born January 2016 at 26 weeks and he spent 79 days in the NICU. Despite his rough start, Wes is a very healthy little boy and his doctors and have been pleased with his progress. He is very easy going and enjoys laughing and being silly. Being his parents brings us so much joy! Travis has a Ph.D. from Notre Dame and is working as an engineer. He enjoys the fact his work schedule is flexible, which allows him to accommodate the needs of our family. Charlotte has a degree in Business from Biola University. She works as an accounting manager and has Fridays off. We utilize family for childcare when both of us are working and are blessed that both sets of grandparents and an aunt desire to be involved. While our current arrangements have been ideal, we are flexible to the needs of our growing family and Charlotte will stay home if that's the best fit. We own a 3 bedroom home in a quiet neighborhood. Both sets of grandparents live nearby, which has been a blessing as our family grows. They love being involved with their grandson (currently the only grandchild on both sides of the family). We love the outdoors and enjoy the wonderful Southern California weather while walking, hiking, playing at parks. We are both sports fans and enjoy cheering on our favorite teams during football season. Charlotte loves to cook and bake, and Travis loves to eat, so he says it's a match made in heaven. We would love to meet with you, if that is what you would desire. We respect your privacy and will honor your decisions, whether that includes limited or no contact, occasional updates, or a more open relationship. Thank you for considering us as the adoptive parents for your baby. We are represented by Nightlight Christian Adoptions. If you want more information about us or would like to meet us, please contact Nightlight at 714-693-5437.